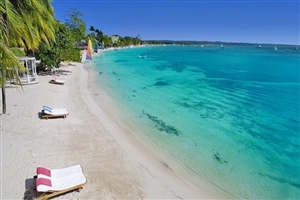 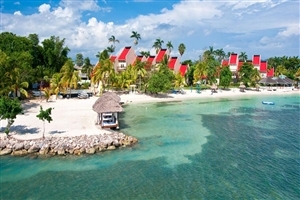 Spread across Jamaica’s famous ‘Seven Mile’ Beach, Sandals Negril Beach Resort & Spa is a Caribbean Luxury Included® paradise where understated sophistication and elegance will leave you enchanted. 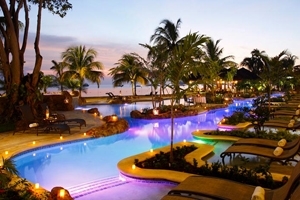 A Luxury Included® resort in a spectacular setting, Sandals Negril Beach will create unique, romantic moments for you to savour with its sumptuously appointed guestrooms and suites, exquisite attention to detail – such as Sandals’ exclusive Butler Service and swim-up suites – and fabulous gourmet cuisine. 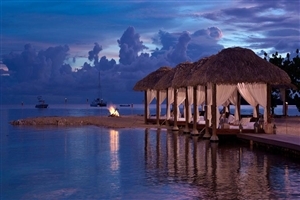 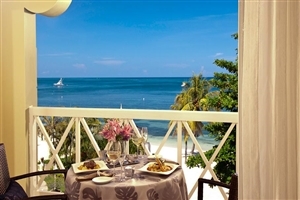 Fall in love with one another all over again at Sandals Negril Beach Resort & Spa. 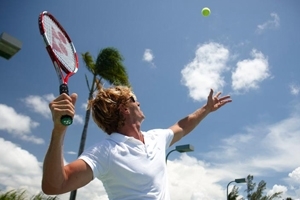 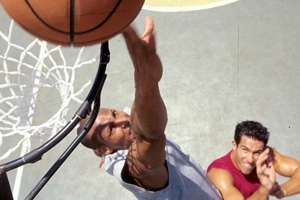 Also available are racquetball, squash and tennis. 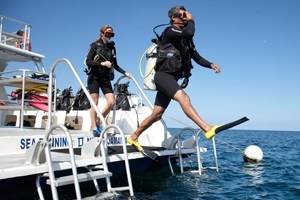 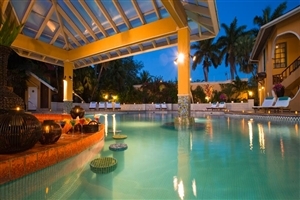 There are three swimming pools and a separate scuba pool. 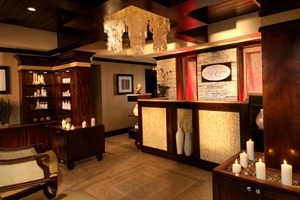 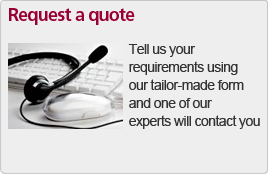 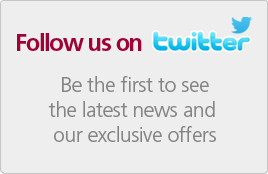 Massage and hydrotherapy treatments are available, at extra cost, in the acclaimed Red Lane® Spa. 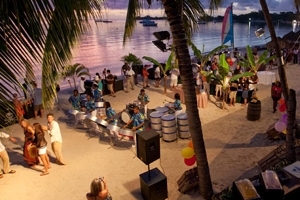 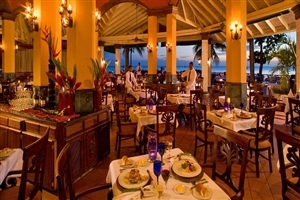 In the evening there is nightly entertainment to be enjoyed after dining in one of the seven excellent restaurants covering a wide range of tastes, Barefoot by the Sea or Beach Bistro, Bella Napoli Pizzeria, The Sundowner (Caribbean), Kimonos (Oriental Teppanyaki), Cucina Romana and The Bayside. 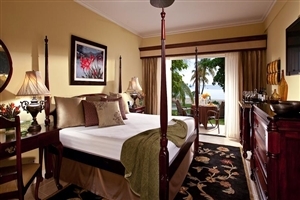 Bedrooms are furnished and appointed to a high standard and beach and ocean views are recommended, available at upgraded room categories such as the Grande Luxe Beachfront Rooms. 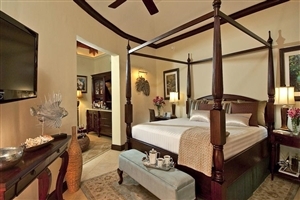 The Caribbean Deluxe Room at Sandals Negril Beach Resort & Spa feature a four-poster king-size bed and partial garden views. 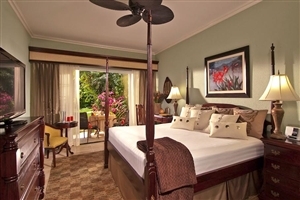 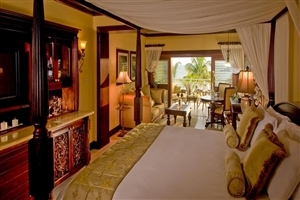 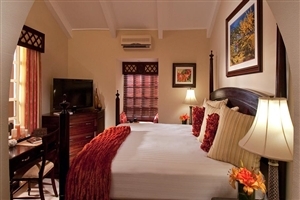 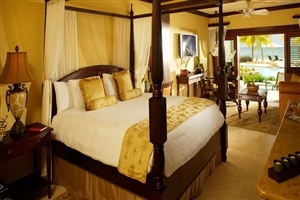 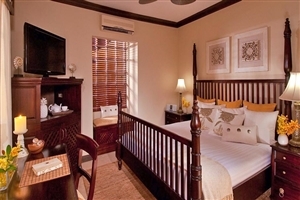 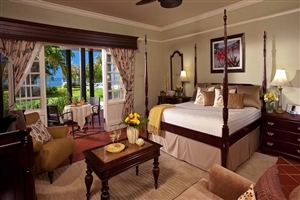 The Caribbean Premium Room at Sandals Negril Beach Resort & Spa feature a king-size four-poster bed and offer partial views across the tropical gardens. 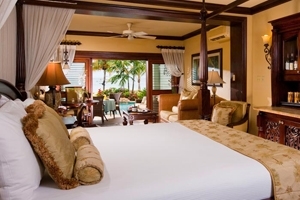 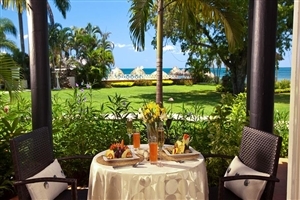 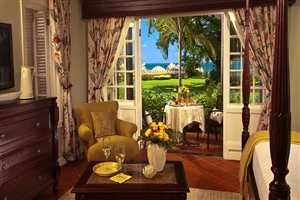 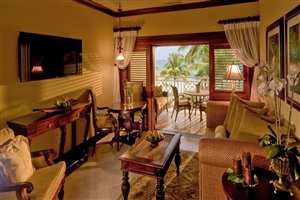 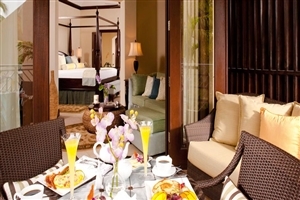 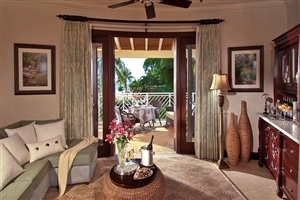 The Caribbean Luxury Room at Sandals Negril Beach Resort & Spa feature patios or balconies (most rooms) overlooking the manicured tropical gardens. 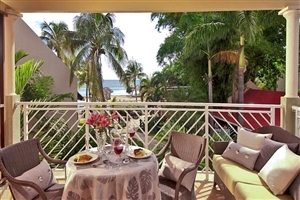 Those with no balcony offer a large living area. 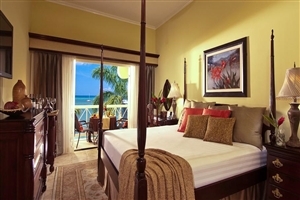 The Caribbean Luxury Oceanview Room at Sandals Negril Beach Resort & Spa serves as a warm and welcoming accommodation filled to the brim with luxurious furnishings and custom made details that enhance the exotic surroundings. 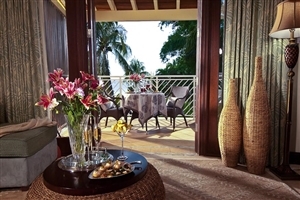 The room features a private balcony that showcases gorgeous ocean views for an enhanced occasion. 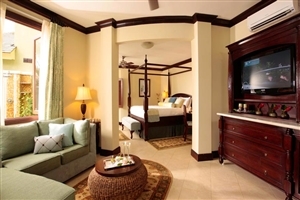 The Caribbean Luxury Oceanview Walkout Room at Sandals Negril Beach Resort & Spa serves as a warm and welcoming accommodation filled to the brim with luxurious furnishings and custom made details that enhance the exotic surroundings. 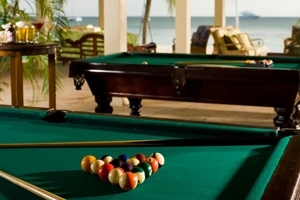 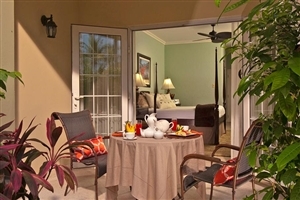 The room features a private patio that showcases gorgeous ocean views and provides direct access to the ocean. 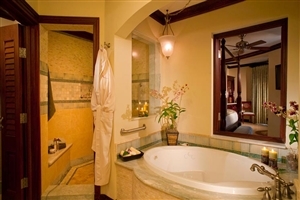 The Caribbean Beachfront Grande Luxe Club Level Room with Tranquility Soaking Tub at Sandals Negril Beach Resort & Spa are spacious settings that come with plenty of modern amenities including a luxurious soaking tub. 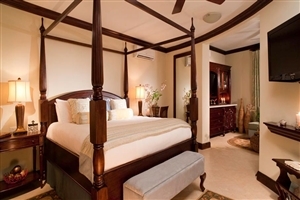 The Millionaire Honeymoon One Bedroom Butler Suite with Private Pool Sanctuary at Sandals Negril Beach Resort & Spa is a Love Nest Suite® distinguished by its fabulous private plunge pool, making it ideal for enjoying the pleasant weather. 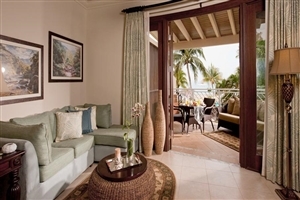 The Swim-up Crystal Lagoon Beachfront One Bedroom Butler Suite at Sandals Negril Beach Resort & Spa are carefully positioned for direct access to the sparkling lagoon from a private entry point. 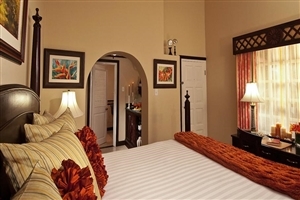 Each Love Nest Suite® features a separate bedroom and living room, plus a dining area and a lavish bathroom. 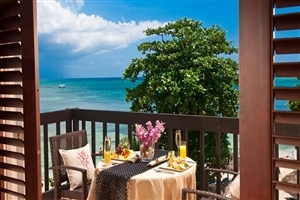 The Paradise Honeymoon Beachfront Grande Luxe Club Level Room at Sandals Negril Beach Resort & Spa is located directly on the beach for easy access and gorgeous views from the balcony, while guests can also take advantage of Sandals’ exclusive ‘Suite Concierge Service’. 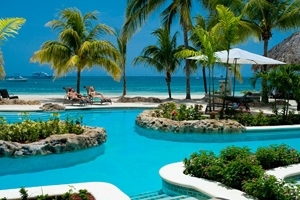 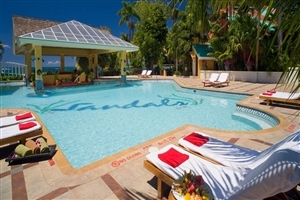 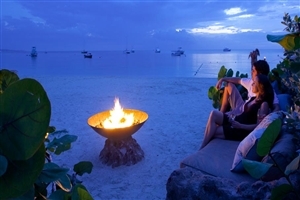 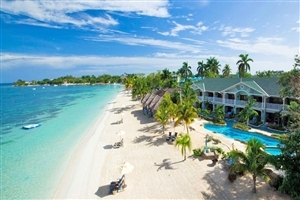 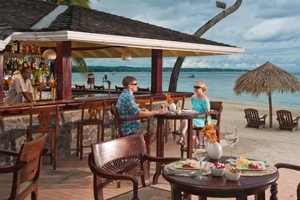 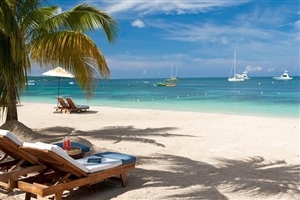 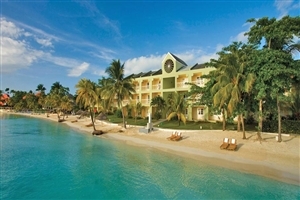 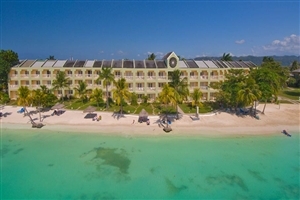 The Paradise Honeymoon Beachfront Walkout Club Level at Sandals Negril Beach Resort & Spa offers a private patio and direct access to the soft-sand beach from its beachside location along with stunning ocean views. 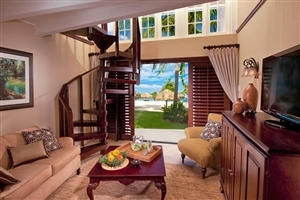 The Millionaire Honeymoon Penthouse One Bedroom Butler Suite at Sandals Negril Beach Resort & Spa features a separate bedroom and living room area for greater comfort and practicality. 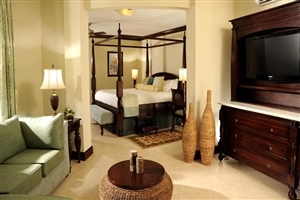 Guests will be lavished with West Indian-style furniture, a whirlpool tub and Sandals’ exclusive Butler Service courtesy of this Love Nest Suite®. 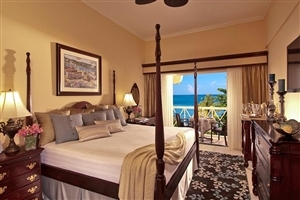 The Millionaire Honeymoon Oceanview Penthouse One Bedroom Butler Suite at Sandals Negril Beach Resort & Spa is a Love Nest Suite® that features an oversized balcony with panoramic views across the ocean, a separate living room and Sandals’ exclusive butler service. 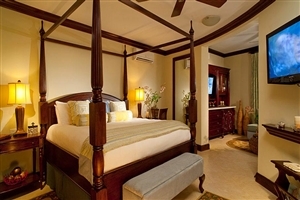 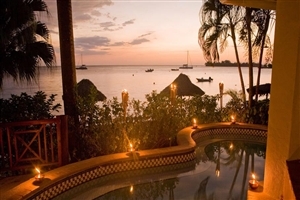 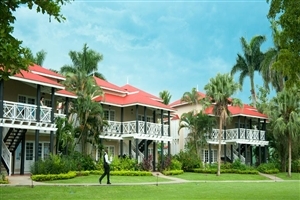 The Caribbean Honeymoon Beachfront Two Storey One Bedroom Butler Suite at Sandals Negril Beach Resort & Spa is a Love Nest Suite® that offers a separate bedroom and living area across two floors in this beachside, split-level property. 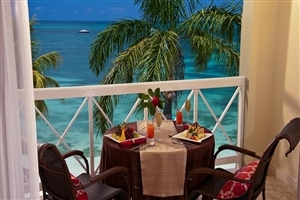 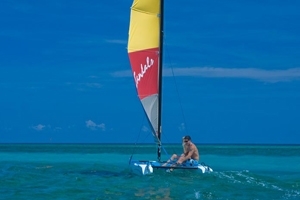 The Crystal Lagoon Honeymoon Beachfront Penthouse One Bedroom Butler Suite at Sandals Negril Beach Resort & Spa is a Love Nest Suite® located on the beachfront and provides easy access to the resort’s sparkling lagoon. 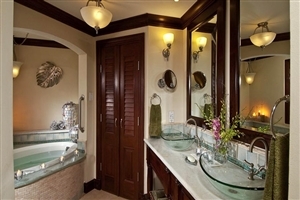 The Suite features custom mahogany furnishings and affords guests exclusive butler services. 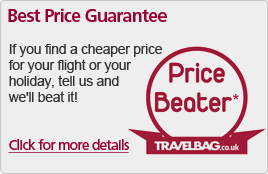 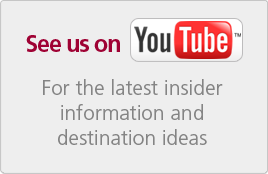 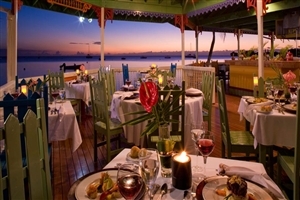 Bayside Restaurant - Fine international cuisine. 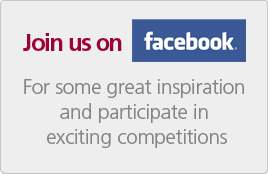 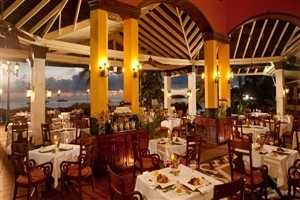 Bella Napoli Pizzeria - Enjoy the fine flavours of intricately designed pizzas. 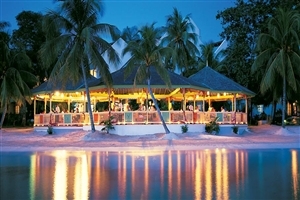 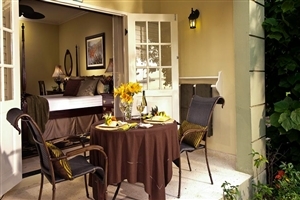 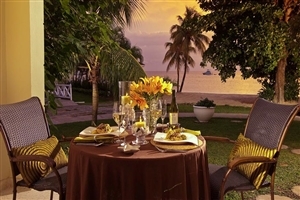 The Sundowner - Caribbean cuisine with white-glove service. 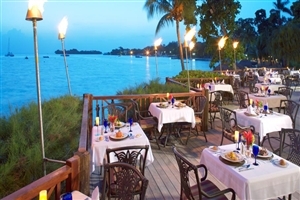 Kimonos - Teppanyaki-style oriental restaurant. 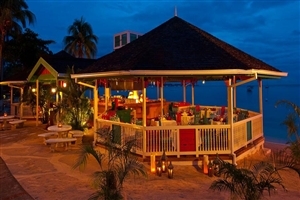 Barefoot by the Sea - Seafood restaurant. 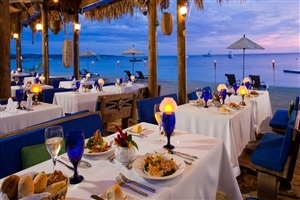 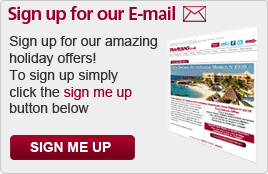 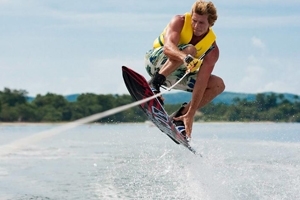 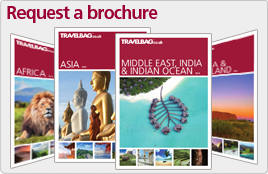 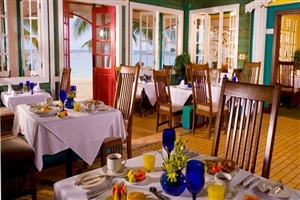 Beach Bistro - Enjoy food and refreshments at this beach eatery. 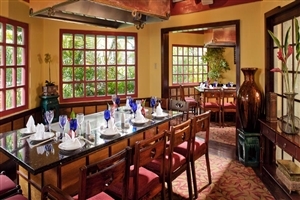 Cucina Romana - Sample some of Italy's finest dishes at this warm and welcoming eatery.